Christians in Context: from orthodoxy to orthopraxy. 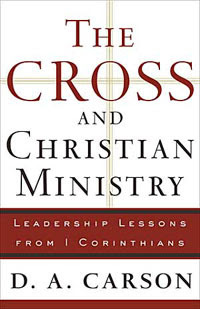 : The Center of Your Ministry: Strategizing or the Cross? The Center of Your Ministry: Strategizing or the Cross? At the moment, books are pouring off the presses telling us how to plan for success, how 'vision' consists in clearly articulated 'ministry goals,' how the knowledge of detailed profiles of our communities constitutes the key to successful outreach. I am not for a moment suggesting that there is nothing to be learned from such studies. But after a while one may perhaps be excused for marveling how many churches were planted by Paul and Whitefield and Wesley and Stanway and Judson without enjoying these advantages. Of course all of us need to understand the people to whom we minister, and all of us can benefit from small doses of such literature. But massive doses sooner or later dilute the gospel. Ever so subtly, we start to think that success more critically depends on thoughtful sociological analysis than on the gospel; Barna becomes more important than the Bible. We depend on plans, programs, vision statements- but somewhere along the way we have succumbed to the temptation to displace the foolishness of the cross with the wisdom of strategic planning. Again, I insist, my position is not a thinly veiled plea for obscurantism, for seat-of-the-pants ministry that plans nothing. Rather, I fear that the cross, without ever being disowned, is constantly in danger of being dismissed from the central place it must enjoy, by relatively peripheral insights that take on far too much weight. Whenever the periphery is in danger of displacing the center, we are not far removed from idolatry. Originally published in 1993 and certainly still poignant. Without law and sin, the gospel of Jesus is little more than sentimentalism - He, a therapist.